Day Two of our CFCA Guatemala Awareness Trip started at the St. James Cathedral in Guatemala City. We arrived right after Mass started so we don´t have inside footage of the beautiful transept but here´s a quick video highlighting a few key points. 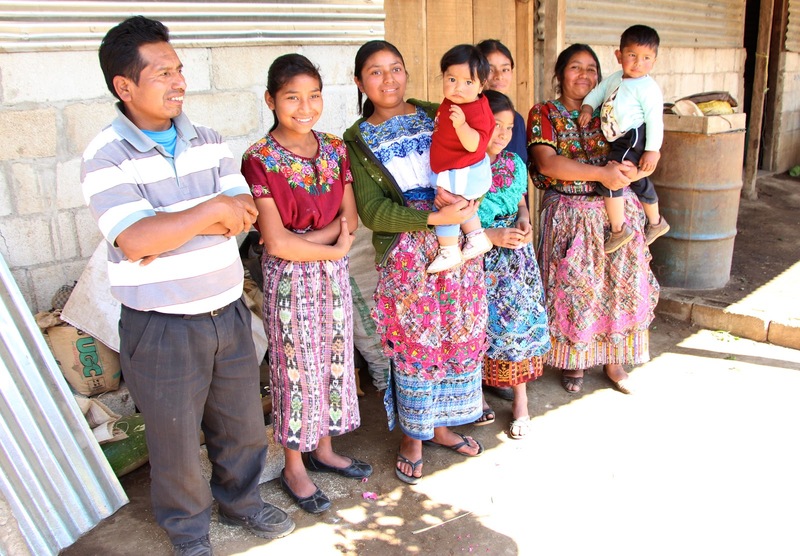 We stopped at a CFCA Guatemalan sub-project to meet with sponsored families and see first hand how CFCA is providing encouragement and the means for these families to become self-sustaining as they build a path out of poverty. We were welcomed with open arms and joyous hearts by over 100 families cheering our arrival. All the families love seeing Mr. Bob - Senor Roberto, founder of CFCA. The goal of today for me was to experience first hand how we, as CFCA sponsors, walk with families on the path out of poverty via sustainable projects and education. We visited two family homes. It was humbling. This is my first CFCA trip The need is everywhere, the poverty is grave. It immediately became overwhelming for me (as I am a fixer) but the joy and love shines through stronger than the need - there is not despair in the eyes of the community, there is something stronger that is very hard to explain. There´s a spark in these Mayan eyes - a spark of hope, faith, respect and admiration. So much poverty. And I say this to Bob and he answers "so much hope." And I say, "With so much need, how do you make an impact?" and Bob responds, "One family at a time." Seeing the sustainable programs in action in the community helped me understand how to see the tree of hope (one family at a time) through the forest of poverty. So much hope. So much love. So much respect. 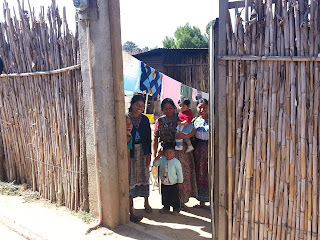 In the first home, the family greeted us at the door with big hugs. 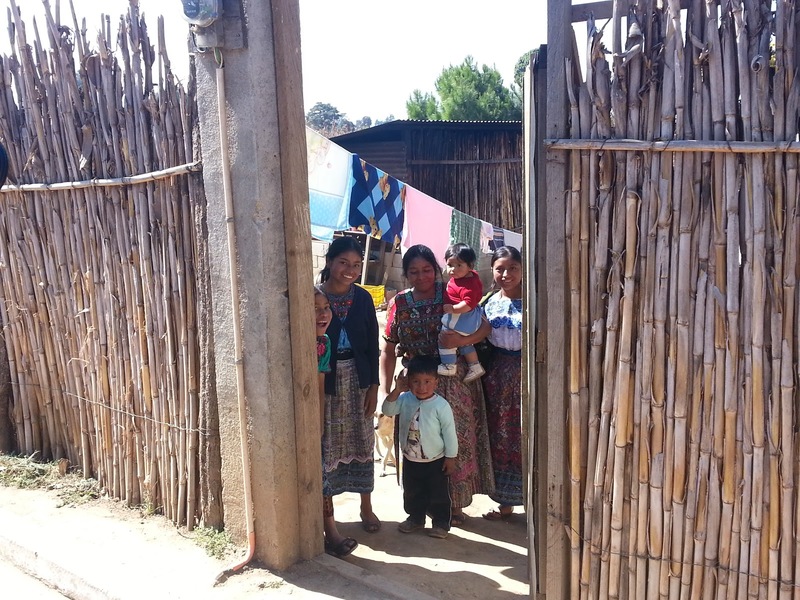 The warmth this family expressed for Judy-Anne, Luis (CFCA Guatemalan Communication Liason), Maria (CFCA social worker for this community) and me was overwhelming. The father, Santos, was so proud of his two sponsored daughters, Marta and Ingrid. He very eloquently told us how incredibly talented they are. He was such a proud dad and his daughters and wife lit up as he told us stories about his daughters. He shared how Marta is a leader in her school and takes care of goats and chickens (purchased with help from CFCA´s sustainable program) to help her family with additional income. Ingrid is shy and very intelligent. She loves going to school and wants to be a teacher. Angela, the mother, talked about how the family is very active with giving back to the community through CFCA. 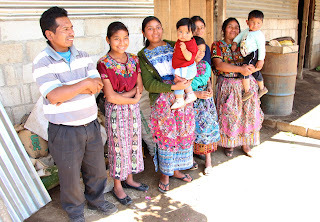 Maria told me she picked Angela´s family for us to meet with because Angela is so involved with giving back to the community and Santos´ work ethic is well known throughout this area of Guatemala. Angela shared that our visit was so special to their family that her husband took the day off work in the fields to greet us. He works Monday-Saturday 7a-7p (not including his 20-40 minute commute - walking to the fields). I wanted to ask when he had time to build their home including figuring out how to wire it for electricity - for lights. Marta gave us a tour of their home that Santos built by himself - tin roof, concrete block basis, cornstalk walls and dirt packed floors. The one same table they have is used for many things but most importantly for Marta to do her homework. They have lights so she can study at night after her chores are finished including watching her younger siblings. I´ll update this blog with video footage that Judy-Anne and Luis captured (post trip) so you can really see Santos and Angela´s family´s love for each other and CFCA and most importantly, how step-by-step they are walking the path out of poverty. Interested in learning more about CFCA and why I chose to sponsor a child? Here's my story. While I’m in Guatemala, I’ll be posting recap blogs with video here on this blog and in-the-moment updates on Twitter, Facebook, Instagram and Pinterest. DISCLOSURE: CFCA is covering my flight and lodging for my Guatemala mission awareness trip in return for me documenting my trip via blog posts and sharing my CFCA awareness trip experience via my social channels.